Where are my favorite homeschoolers? What are my favorite learning links? What are our favorite books? Don't forget to also check my blog posts for more. Well, as you know by now, our favorite place to spend time is in the library. During the same time I found those excellent books on science experiments, I also found Word Book’s Childcraft – The How and Why Library. This encyclopedia set is published by World Book. Out of curiosity, I took out two of their volumes – “About You” and “the World of Animals”. I cannot say how wonderful these books are. While I have found out since then that a lot of people have fond memories for these encyclopedias, I actually have never read them before (as a child or adult). What makes them so great? On exactly two pages the book talks about different topics related to a certain subject. So, in “The World of Animals” volume, the first two pages discuss what is an animal. On the next two pages it discusses how different animals move. You probably need to see it to understand – but it sparked my interest as a great way to create lesson plans or lap books on each subject discussed. I think this book is a great starting point – it is well written and understandable for the younger crowd. The minute I opened the book I just realized that it would really help us to delve in further to these different topics (in fun ways) but serves as a nice guide of what exactly should I teach my child about animals (for instance). Now, the bad news. They are expensive if you want the latest edition (all 15 volumes) - around $350.00. No, I’m not kidding – wish I were. However, you can find older volumes online (Ebay), at resale shops and at thrift stores. The only problem – and I am going to have to check it out – is how dated the information is in the older volumes. I really love the 2000 edition because it has excellent pictures, but try to find that edition for a good price – anywhere! I think I will probably try to get my hands on an older version to make comparrisons. I have a friend who has an older set and she just loves them. Another thought: Just wanted to also say that I probably wouldn’t want to purchase the entire set because some of the topics are not useable for us as a Muslim family. They have an entire volume just discussing western holidays and the like. I don’t see any use for that information (at least not right now). However, most of the volumes have very useful information. For those of you with younger children – who are struggling about what to teach your child – this might be a nice starting point. You don’t even have to extend the activities – but can just use these books as “reading time” material for you and your child. I am sure they will learn a lot from it. However, if you do want to find a useful starting point for developing lesson plans or creating extra activities for learning – I highly recommend these books. Insha’Allah you will find them useful too. One family picked up the older sets and on comparison, found that although the pictures were older, there wasnt enough of a difference in content to justify buying the newer set. They use Childcraft almost entirely for their geography, natural sciences, etc, with her three older children (from 6 to 12) all reading and discussing the same section. Her husband, who works at home, found himself constantly leaving his work to come and listen in on an interesting lesson, and asked if they could switch lessons to the evenings when he was free to join them. They loved the activities given at the end of each section. I have been thinking of purchasing a set myself, and it will probably have to be the older version. I just purchased a set this week – a 1991 version off of Ebay. I was fortunate, alhumdulilah, because I didn’t realize the seller was local and they offered to save me $20 shipping fees if I came to pick them up – what a relief! Alhumdulilah! I will check these against the ones I have from the library and give you an update, insha’Allah. 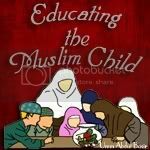 My daughters are 5 and 3 and they just love looking at the pictures and reading about the different subjects – they get excited when I pull them off of the shelf, masha’Allah. Insha’Allah it will be a good investment. Masha allah. I am sure it will prove to me a wonderful investment. My friend uses it for a unit studies/content studies approach to homeschooling. I remember her getting so excited about the way they described the functions of the parts of a leaf (mitochondrion, nucleus, etc)and I remember telling her only another homeschooling mother could get so excited about a leaf. Her children, ages 6 to 12, would come to her room while she was feeding the baby and they would read together from Childcraft. With regards to older versus newer versions: the earth is still the earth, the plant kingdom is still the same (except for what mankind has made extinct), the animal kingdom is still the same. What has changed is technology and perhaps the physical borders and names of certain countries. I am sure we can get the information we seek from the older version, but i would love to hear your comments. I really liked your website. All activities and learning resources are fabulous. I am only wondering if there are any activities for older children. The reason I am asking is because I teach grades 7&8. I can not seem to find any interesting activities for this group of students. The curriculum that is adopted by the board is extremely boring. My students keep complaining about the text book how dull it is. Please, if you have any suggestions,let me know. Thank you so much in advance. Copyright © 2013 Educating the Muslim Child. All Rights Reserved.